With the omnipresence of smartphones these days, it’s hard to believe less than 10 years ago the concept was almost unknown. Granted, there were PDAs and other devices around for some time before then, but Blackberry really didn’t start making a splash in the US market until almost 2006. The introduction of the iPhone in 2007, followed by the first Android devices in 2008 changed everything. Today, not only are these devices widely popular, but for many people, smartphones and other portable devices serve as their only real (or at least primary) computer. Whether this is the case or not, more and more people are using portable devices to carry out sensitive transactions, merely out of convenience. 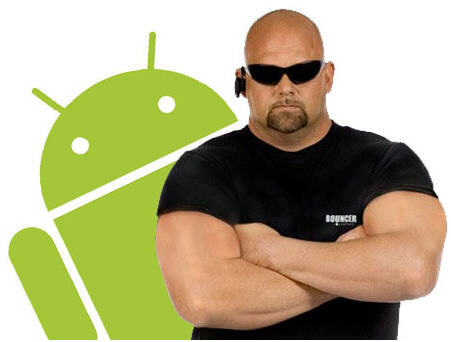 For this reason alone, securing your Android device has become an imperative. Whether you use your smartphone in this way or not, keeping your phone safe just makes practical sense on a number of levels. For one thing, these devices are reaching the power and capability of a home computer, and deserve the same protections. Perhaps even more importantly, the portability of these devices makes it easy for the wrong people to gain access, or simply walk off with them. Regardless of the reason, it only makes sense to protect your device and yourself from threats coming from both the cyber and real world. Secure your phone with passwords and encryption. This is one of the first and easiest things you can do to protect your Android apparatus. Most devices come with the automatic screen lock enabled. You have the option of changing the unlocking mechanism through the Settings>Security menu. This is the first place you should set a PIN or pattern to allow any access to your phone or tablet. For all other sensitive apps, you should create individual passwords – and the more complicated the better. This is where an app like LastPass comes in very handy. This program allows you to create and store multiple passwords for all your apps. You can even generate randomized passwords if you so desire. And all you are required to remember is the one password to control LastPass. Use other security built-in to the Android system. Within the same Security menu, you will find other options to help secure your phone including encryption, securing the SIM card, and even simple options like “Make Passwords Visible” that can all help protect what others can see on your device. Several options such as “Unknown Sources”, “Verify Apps”, and many more are also available. Many of these will help you from loading malware in the first place, or removing threats when necessary. Avoid malware by downloading apps from trusted app stores like Google Play or the Amazon App Store. Also realize these stores aren’t foolproof. Be aware of the permissions required for each app, and make sure they are reasonable for the tasks the app is designed to perform. Also check reviews that the app performs as advertised before installing it on your device. XPrivacy can help you adjust the permissions of apps after they are installed. Avoid sideloading .APK files from untrustworthy third-party sites. Though this allows you more freedom to play around with your phone, and is one of the great attractions of Android devices, it can also be their downfall, as you are removing security features built into the OS, and inviting malware to attack. Turn off Wi-Fi and Bluetooth connectivity when not in use. Also be wary of what allowances you make for these networks and devices. While these add to your convenience, you can be leaving yourself vulnerable in an open-broadcast network. Be aware that when you are connected to a wireless network, you are opening yourself to being hacked. Back up and protect your data. It’s a good idea to back up your important data to an outside source on a regular basis, just in case something happens to your primary device. You should also delete and/or encrypt messages and conversations with sensitive information. Apps like RedPhone allow for phone-to-phone conversation encryption, keeping outsiders from listening in – as long as the party you’re talking to is running the software as well. You should also install additional security software such as McAfee, Norton, AVG, or Lookout. All of these programs offer different security from malware at different prices. McAfee is free to all Android users. Lookout not only will detect and protect your phone from malware, but also offers security in case your phone is lost or stolen. This includes great features like GPS location of the device, and remote locking or wiping of a missing device. Sophos is another software package with similar features, including triggering a remote alarm, resetting your passcode, and even displaying a message for whoever “finds” your device. These are just a few of the things you can do to protect your Android device. The security levels you set are up to you, but your security choices should reflect the very real risks of using mobile technology. Guest article written by: This is a guest post by Sarah Brooks from [tp lang=”en” only=”y”]free people search[/tp][tp not_in=”en”]free people search[/tp]. She is a Houston based freelance writer and blogger. Questions and comments can be sent to brooks.sarah23 @ gmail.com. Great sharing. Love it and help me to secure my phone better. Thanks again mate.